Areas of my 3D showcase are mixed up between floors. Rooms of the first floor show up alongside rooms of the fourth floor, etc. I can clearly see they were all marked correctly on the iPad. Has anyone run into this issue before? I've processed the model three times with no luck. 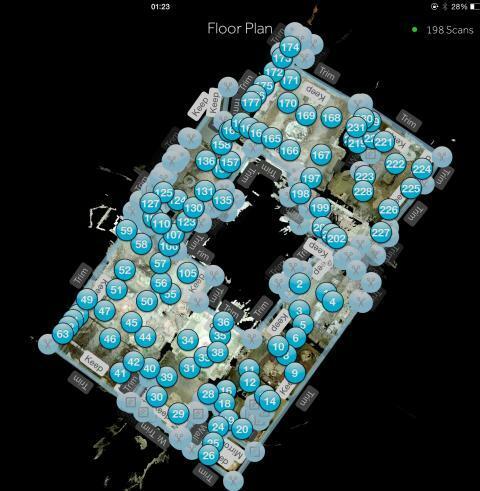 I had the same thing happen to me and the scans are correctly associated (on the correct floors) inside the capture app. In my case, the error wasn't a dealbreaker and I let it go....but I'd love to know if anyone has discovered a fix, for future reference. I too resaved inside the app and reprocessed, but had no luck. I had the same problem many times. Drove me mad. Every upload was different. After a complain at MP I was told they were working on it and marking the floors doesn't matter a thing. The purpose of floorlabbeling was only for our convience and has no impact at the processing at all. 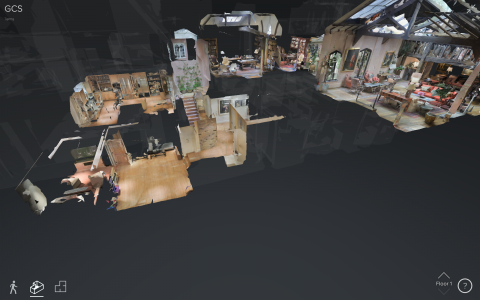 I have had the same problem and the same response from Matterport, the labeling of the floor just makes it easier for us to maneuver thru the model on the capture app. The scans will attach to the floors the program thinks it should be on. What I have found is if the floors are of different size I have expanded the trim area to the max and have found this helps to correct the problem. But the problem is the capture app only lets you go out so far. This has only worked for me when the floors were of different sizes. But I have only had the issue when the floors have been of different sizes. Has anyone had the issue when the foot print of each floor was the same. @George @rpetersn @Rik do you can share the SC? I can post them later, do not have access to my Ipad right now. @ron0987 In this case, the garage was associated with the basement where it should go with the first/main floor. This does line up with what you're saying where the two floors have different footprints....and the garage is a foot lower than the main level, but significantly higher than the basement that it was attached to. I have 8 of them from the same upload. I have to check them als they are now private and not public. I will put some links here later on. Upload nr 9! Made me very Happy !!!!! Can those of you with the problem provide a shot of your mini-maps as well as link to the affected models. This may be the case of the wandering scan which several of us have experienced in the last couple of months. The master bedroom is on the same 'floor' as the basement three floors below. Areas across the entire model are completely mismatched up like this.